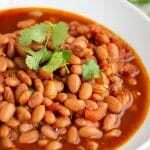 These Pressure Cooker (Instant Pot) Pinto Beans are a delicious bean recipe with Mexican flavors. They are no soak, full of flavor, and meatless. Ever been in a situation when your spouse walks up to you and says “I need you to cook lunch for my crew and cast members?” ok, maybe not. But this happened to me. You see, my husband is a struggling film director/writer who is currently working on a tv series. During filming, he wanted me to feed everyone on set. I’m not a caterer, so I was initially stumped. But then it clicked, a taco lunch would be perfect. The lunch turned out perfect! We had chicken tacos, these pork carnitas, mexican rice, 7 layer dip, these pinto beans, and tres leches cake for dessert. 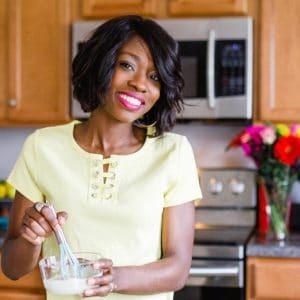 I’m so excited to share this pinto bean recipe with you because it’s so flavorful and so easy to make. You don’t even have to worry about soaking the beans thanks to the pressure cooker. How to make Instant Pot Pressure Cooker Pinto Beans? Making these beans is pretty easy. As I stated earlier, I don’t soak these beans. There is no need to plus…I ain’t got time for all that. First, set your Pressure Cooker to sauté on high. 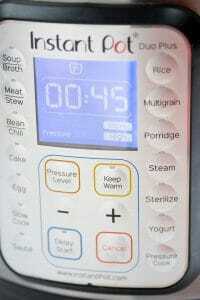 For the Instant Pot, that’s the “More” setting. 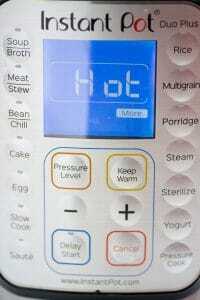 Once the display says “Hot,” add your oil. Then add your onion and garlic and stir. 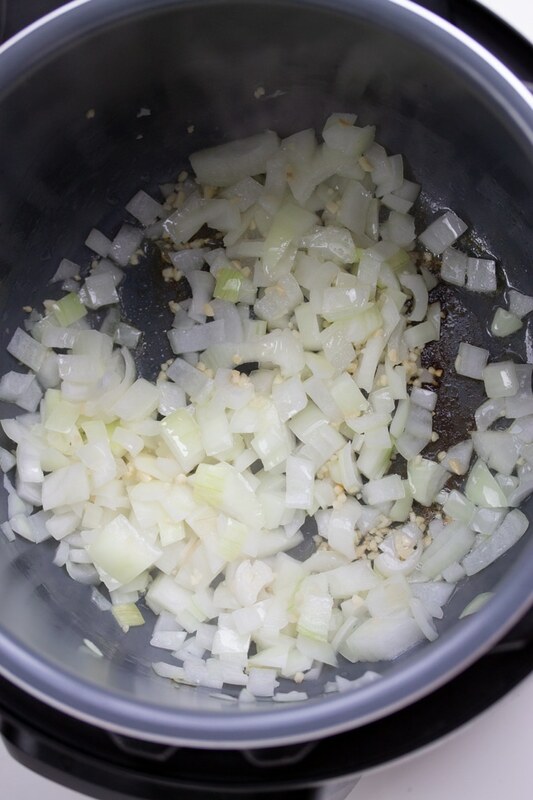 Cook until the onion has softened, around 3 minutes. Then add your chopped chipotle pepper in Adobo sauce. These peppers can be found in your local grocery store and add a nice kick to these beans. 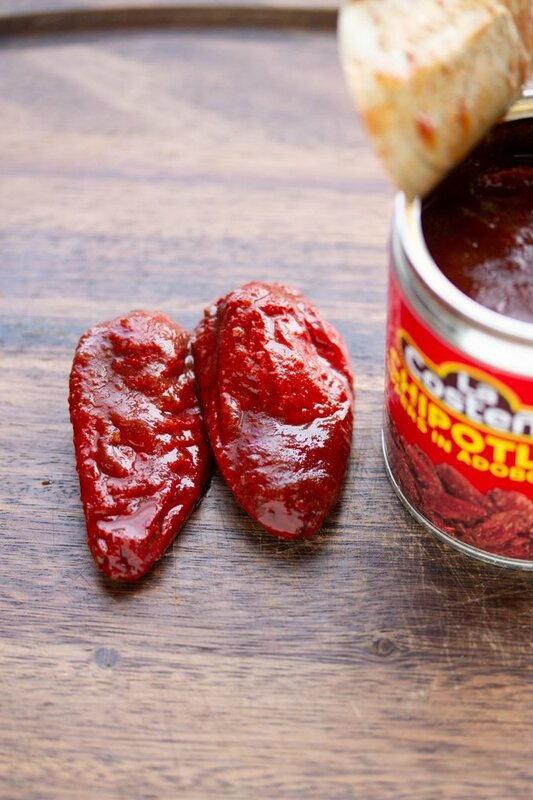 If you’re not a fan of spice, add just one pepper or eliminate them all together. Next, add your garlic powder, salt, minced garlic, cumin, chili powder and stir for about 20 seconds. You should smell the spices cooking at this time. I call this step “roasting” the spices. I find it helps flavor the beans. 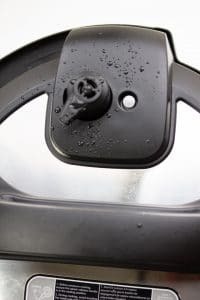 Next, add your vegetable broth and water and use a wooden spoon to deglaze your Instant Pot by making sure there are no bits of food stuck to the bottom of your Instant Pot. Add your beans and stir. Then add your diced tomatoes. 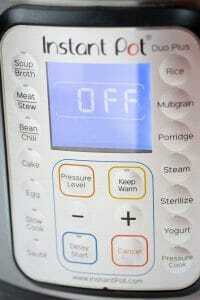 Press “Cancel” on your Instant Pot. 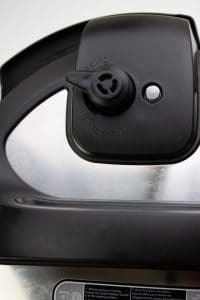 Cover your Instant Pot, making sure your valve is set to “Seal.” Press “Pressure Cook” or “Manual” and select “High” Pressure for 45 minutes. Open the lid and stir in your vinegar…yes, vinegar. I found that vinegar brings out the flavor of these beans even more. And there you have it! Delicious, flavorful, easy Instant Pot Pinto Beans. Done without soaking. These Pressure Cooker Pinto Beans are quick and easy when made in your Instant Pot. 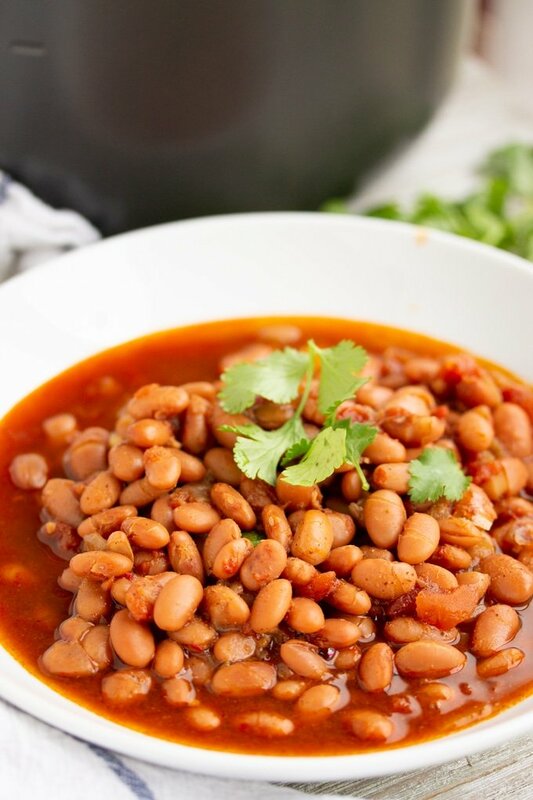 Delicious Mexican flavors come through in this no soak pressure cooker bean recipe. Set your Pressure Cooker to sauté on high. Once the display says Hot, add vegetable oil. Add onion and garlic and cook for about 3 minutes, until onions have softened. Then add chipotle peppers, chili powder, cumin, salt, and garlic powder. Stir for about 20 seconds. Add vegetable broth and water. Use a wooden spoon to stir and deglaze the pot by removing any stuck pieces of food from the bottom. Add beans and stir. Pour in diced tomatoes. 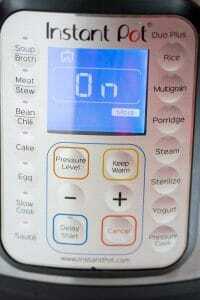 Press “Cancel” on your pressure cooker. 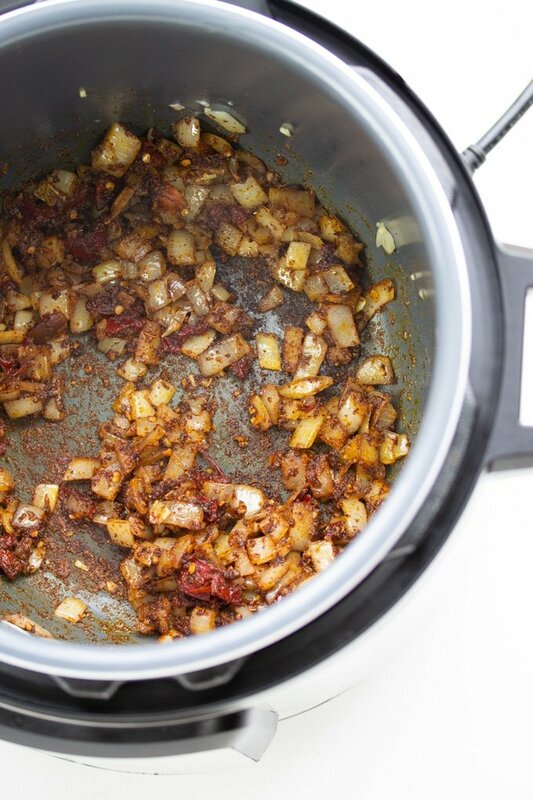 Cover the pressure cooker and cook on High Pressure for 45 minutes. 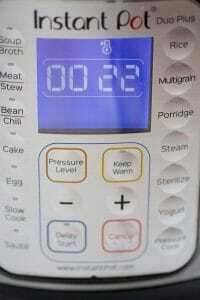 Once timer is complete, allow pressure to naturally release for 15-25 minutes. Naturally release any remaining pressure. 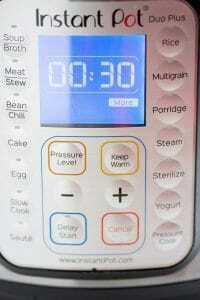 A pressure cooker. I made these in my 6 Qt Instant Pot. 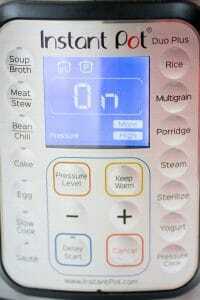 Cooking beans in the Instant Pot is a great idea they come out perfectly cooked and ready in no time. Your recipe for pinto beans sounds very tasty! 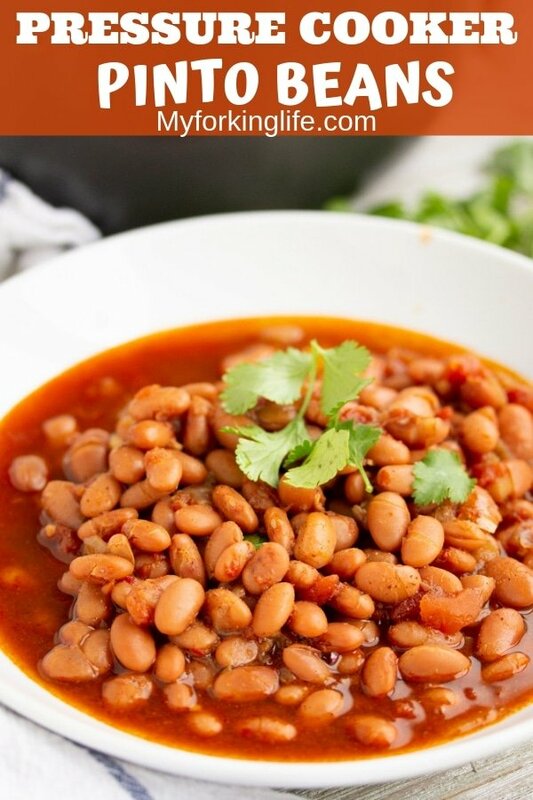 This quick and simple recipe for pinto beans in the Instant Pot is delicious! Really good, my 3 year old even ate them! Thank you! 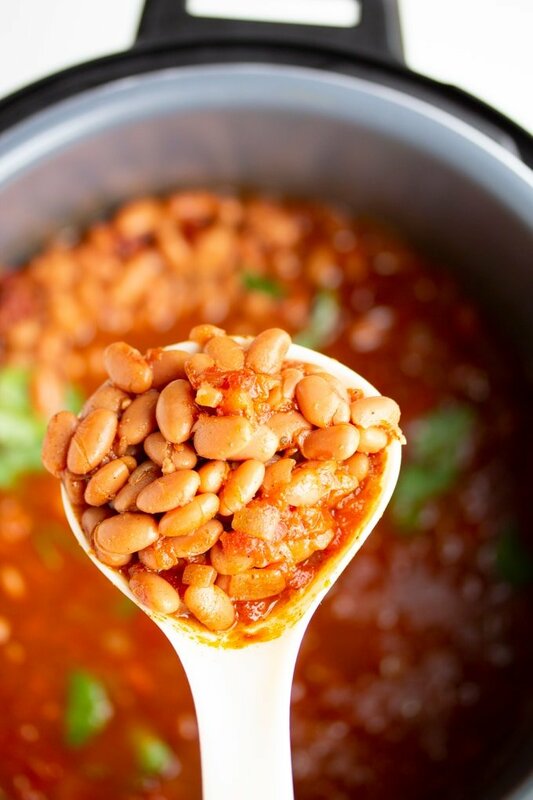 Love the very detailed step-by-step on how to use the Instant Pot to prepare pinto beans. 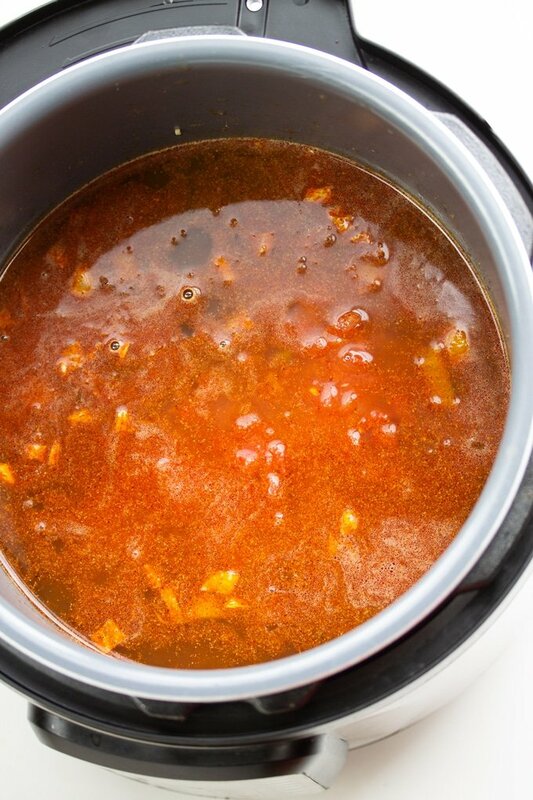 This is one of my favorite Instant Pot recipes! So easy and SO yummy! I still haven’t bought an Instant Pot but need to do it soon. I keep coming across great recipes one can make with it! These beans sound so flavourful. I’d love a bowl right now!